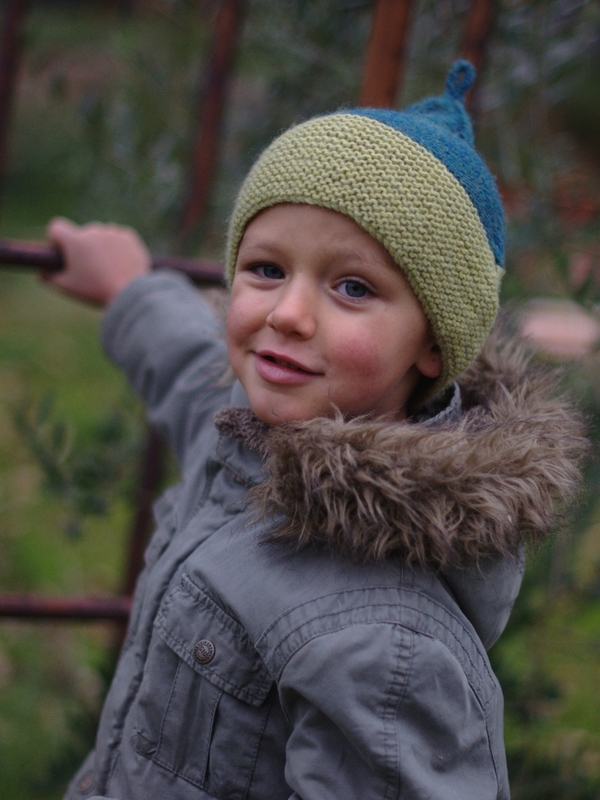 A deep garter stitch Brim feeds into a stylised pixie Crown with cables running up the side of the Hat. Topped with an I-cord, Kabouter is full of whimsy. Worked in the round and bottom up, this Hat is provided in 4 sizes. 31yd/29m for a 6x6in/15x15cm swatch in St.St Worsted weight, plied yarn. 20 sts x 38 rows to 4in/10cm on 4mm needles over Garter St.